While globally tablets are doing incredible well, the Surface has hit less than optimistic sales, with IDC saying sales could as low as 900,000 units. Originally, Microsoft wanted three million units sold before 2013 started, and possibly nine to twelve million sales until the successor came along. 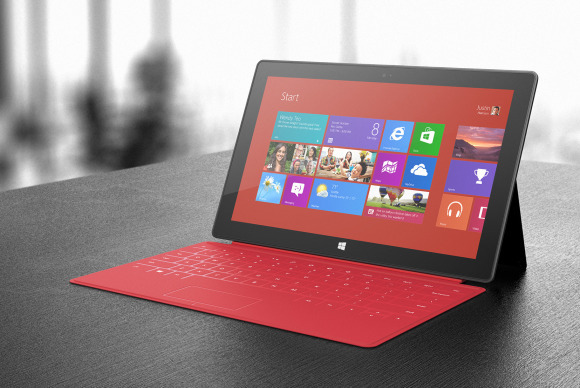 We doubt Surface will hit that number, and it will struggle to get past three million. Apple still holds a good first place in the market, with 43% of all tablets shipped in Q4 coming from the iPad and iPad Mini. Reports suggest that the iPad Mini is outgrowing the original, and with the cheap market price and smaller form factor it wouldn’t surprise us. Samsung holds second place, at 15%, quite a poor amount considering their boom in the phone market. Behind Samsung is Amazon, with their Kindle range, at 11%. Fourth goes to Asus, the fastest grower this year, with 5.8%, Asus can throw all their happiness at Google, for making a great successful Nexus device with the Taiwanese company. Last is Barnes & Noble, who have been thrown back this year but still have 1% of all sales. Microsoft has yet to break into the top five and the Surface Pro may not count as “tablet” item, as it has PC specifications and the only “tablet” feature is the form factor. Surface RT had slow sales because the poor contrast between RT and 8 Pro OS, poor content and the price range being associated with the iPad. Microsoft has said they will be bringing a cheaper version of the Surface RT to markets.